The excitement of a pending comment from WordPress has waned. Am I going to take a comment from someone who’s URL includes “pick up artist,” “making money tips,” or someone selling sunglasses, seriously? Here is my blanket response. We have different interests and will not be posting your comment. With that being said, may I move on to what I want to spend time talking about and hopefully a few of you will find of value? While six Golden Retrievers of varies ages and shades of gold and cream rested at my feet, (yes, I have toasty warm and happy feet! ), I enjoyed another message from Healthy Pets with Dr. Karen Becker. The title was ‘The Surprising Truth About Mixed Breed Dogs‘. I was captivated by the title, to be sure, and was not disappointed with the content. I was envious of the 28 comments that followed, none of which came from someone called “MakeEmScream” or “Pickup-artist.” I cannot express my enthusiasm for the wide range of opinions and sentiment I found there and feel moved to add my opinion here, in the semi-safe place of my blog. Constant in my life is the quest for information worthy of not only passing on but implementing in our lives with our dogs and puppies. Just admitting that I’m a breeder can be risky business. The grouping of all breeders of all types as having only one motive seems to happen with such ease. The media has assisted in the vilification of AKC, and now one will often see that organizations’ acronym used in the same sentence with “puppy mills.” All breeders should be legislated out of existence for the good of dogs and dog owners everywhere, and all future dogs owners should be compelled to find a dog from only one source. So, while on the quest for verifiable content, I see a sea of fascinating and sincere comments. I agree with some, disagree with others and value them all. Well, I appreciate most of them, save the one that included the use of pointless profanity. What is our goal? 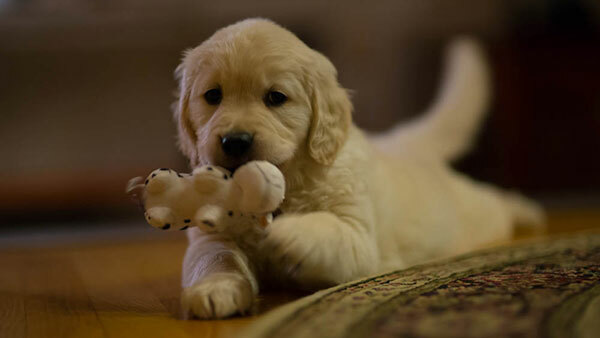 Why do we breed Golden Retrievers? Is it for the hope of the perfect gene pool or the ideal show quality look? The genetically perfect dog is just as impossible to create as the genetically perfect human. If the genetic counselor could guarantee the expectant couple an ideal child, then that same science could help ensure the perfect dog. Using that same argument, shall we throw caution to the wind and breed without regard for possible debilitating or undesirable traits that may be passed on to the next generation?! Of course not. Do we breed for a trendy look or for a sound structure that will mean a pleasant and vibrant life for our companions? I would offer that when breeding for a sound, healthy structure, you will have a beautiful dog as well. Back to the article by Dr. Becker. I thoughtfully answered each of the questions in the article and found that we ranked in the “Exceptional” category for breeders. We should be pleased but what was most gratifying were the questions that Karen Becker suggested people ask of a breeder. It doesn’t take long to move beyond the typical “do the parents and puppies live in your home” to the more important conversation about the loss of a Golden Retriever at an all too young age from cancer. We have had the experience of losing a cherished companion and are passionate about doing all that we can to change the pattern we see all too often. With English Cream Golden Retriever puppies, coming the first week in August you can bet that we are ensuring the best start for this litter with superior quality species appropriate raw food for the mother in waiting, and we have been happily collecting raw organic goat milk for when the pups are ready for something in addition to mothers milk. Puppies nurse until they go to their new homes, providing health-enhancing antibodies for an extended period and allows for a more gradual, natural weaning process. We believe that this is better for both mother and pups. At 4 to 5 weeks of age, our puppies enjoy our local raw goat milk, free-range fertilized eggs and raw ground turkey necks and chicken while still benefiting from the nutritional value of mothers milk. Adding raw organic honey makes for tongue lapping, tail wagging puppy joy! This feeding practice is more time consuming, but we believe that the benefits are real and can be seen in the health of each puppy as they go to their new homes. Calling our holistic veterinarian’s office for a puppy visit “en masse” is like planning time with good friends who have hardwood floors everywhere! The staff prefers to have us come in all at one time. You get the idea. Everyone is multitasking. Laughter is mixed with puppy pee clean up, and no one is stressed. Thorough and careful exams happen while the freelance pups untie the doctor’s shoelaces. Confirmation of the benefits of our program is ongoing, and each year we hope to know more as we continue to talk with our adoptive families about the health and temperament of their Golden companions. Today we are happy and hopeful. We have puppies safely place with loving homes and enjoy the pictures and messages that continue long after the puppies have gone to their forever homes. Veterinarian visits are met with puzzled happiness over the fact that none of our puppies have puppy dandruff that is so often seen in their office with other pups and the consistency of good health from one baby to another leaves us all feeling like something is right in our world. I don’t anticipate a long list of comments from a vast audience that I know we don’t have. We are okay with that. Instead, we hope to affect change one puppy life at a time.